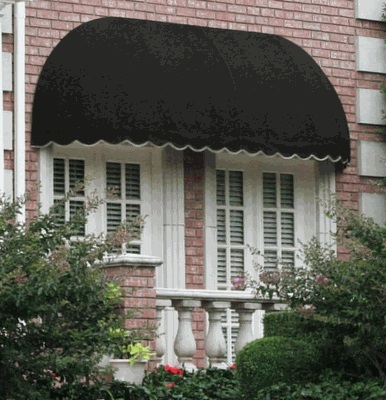 The Chicago Beauty Mark Charleston Window Awning is an elongated awning, perfect for your wider windows. Windows bleed electricity. Cover them with a highly durable, UV resistant, wind tested, water resistant, anti-microbial awning. 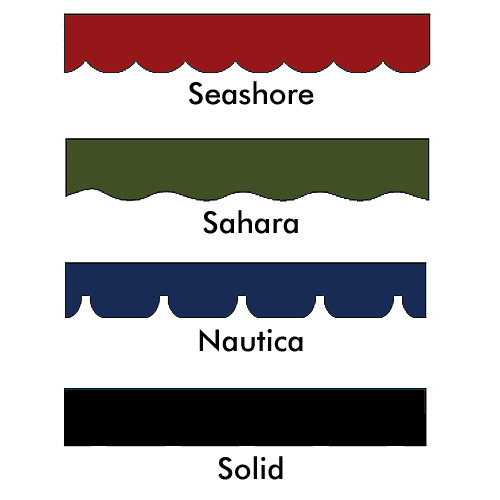 This awning comes in a variety of colors, perfect to match and enhance your home or commercial space. 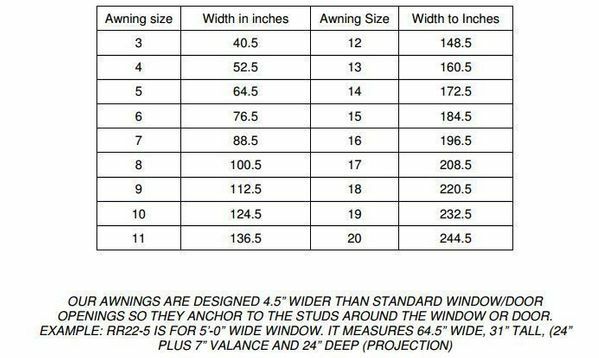 Covered with a 5-year warranty, this American made awning is the perfect item to enhance your space. This awning is particularly simple to install. Attach the brackets to the wall, drop in the awning and tighten into place. Easy as that! Simply watch your electricity bill go down and enjoy! What is the height and distance that the bottom of this awning projects from the wall? The valance height for this awning is 37" and the projection is 24".